BALI - JANUARY 22. 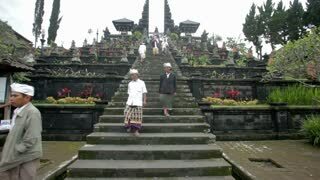 Balinese pilgrims at Mother Temple in Besakih on January 22, 2012 in Bali, Indonesia. 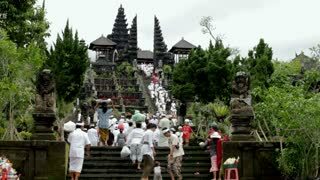 Most Balinese hindus make a yearly pilgrim to the mother of all temples. BALI - JANUARY 30. Men carry pig for slaughter for Galungan ceremony on January 30, 2012 in Bali, Indonesia. 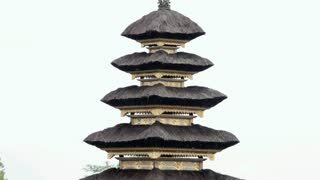 Galungan is a Balinese holiday marking the time when the ancestral spirits visit the Earth. LAKE BATUR, BALI - JANUARY 21. Young woman transporting grass for cows on January 21, 2012 in Bali, Indonesia. All grass for the cows is cut daily. BALI - JANUARY 22. 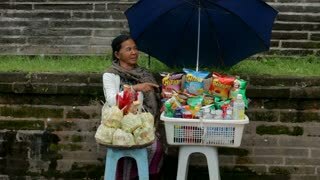 Balinese female vendor at Mother Temple in Besakih on January 22, 2012 in Bali, Indonesia. Local vendors manage to make their yearly sales on this important day. 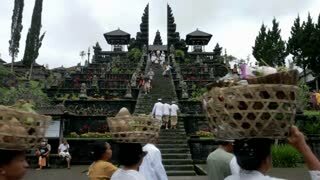 BALI - 22 de enero de Timelapse de Bali peregrinos en el templo de la Madre en Besakih el 22 de enero de 2012 en Bali, Indonesia. 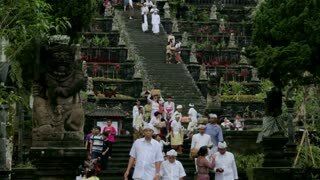 La mayoría de los hindúes de Bali hacer una peregrinación anual a la madre de todos los templos. BALI - 10 de marzo Peregrinos en Tanah Lot, el 10 de marzo de 2012 en Bali, Indonesia. 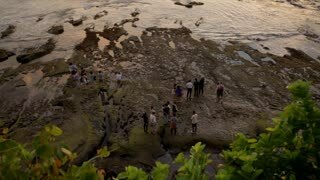 La mayoría de los hindúes de Bali vienen al templo en el mar como una experiencia espiritual.